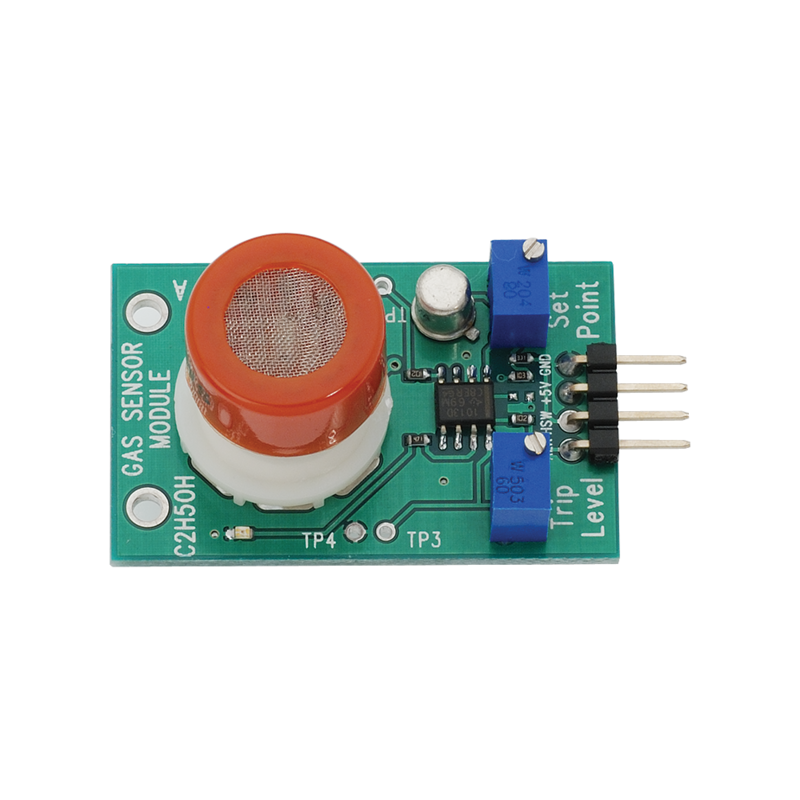 The C2H5OH (Alcohol / Benzine) Gas Sensor Module is designed to allow a microcontroller to determine when a preset C2H5OH gas level has been reached or exceeded. Interfacing with the sensor module is done through a 4-pin SIP header and requires two I/O pins from the host microcontroller. The sensor module is mainly intended to provide a means of comparing alcohol sources and being able to set an alarm limit when the source becomes excessive. 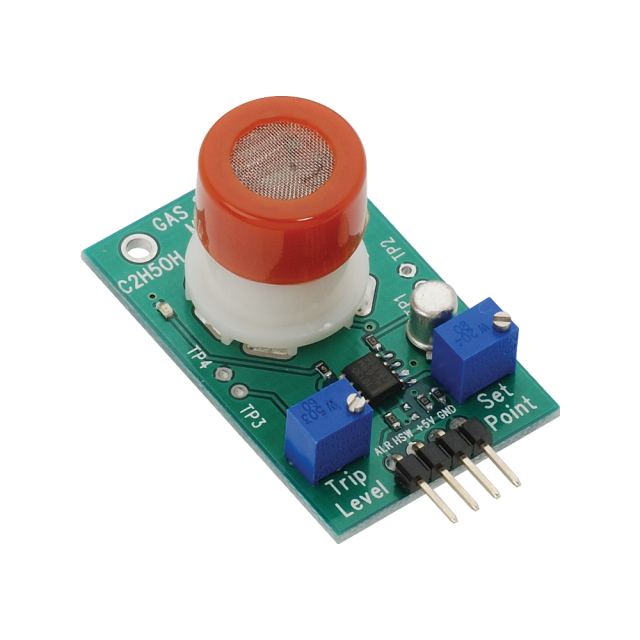 Uses the MQ-3 C2H5OH Gas Sensor. Sensing high alcohol (C2H5OH) concentration. Alert for over limit of gas concentration. NOTES: Always be careful to perform gas tests in well-ventilated areas. This C2H5OH Gas Sensor Module in not designated for or approved for any application involving health or human safety. This C2H5OH Gas Sensor Module is for experimental purposes only; Parallax Inc absolves itself of all liability and responsibility associated with the customer’s use of this C2H5OH Gas Sensor Module and is not responsible for any bodily injury, death, or property damage as a result of using this C2H5OH Gas Sensor Module. Current requirements: ~250mA (Heater On) / 60mA (Heater Off). Dimensions: 1.5 x 1.0 x 1.0 in(38.1 x 25.4 x 25.4 mm). Operating temp range: 14°F to 122°F (10°C to 50°C). NOTES: Parallax does not provide gas calibration data on the module and such data and alarm setting is the responsibility of the user to define. For information on user calibration please see the documentation. This product incorporates static-sensitive components. Always wear an ESD wrist strap and observe proper ESD handling procedures when working with this device. Failure to observe this precaution may result in module damage or failure.